The above animation depicts a two-element articulated pendulum in two variants: the model on the left includes only algebraic ball joints, the model on the right includes also damped torsion springs. One can see that the amount of joint flexing is limited by the torsion spring. 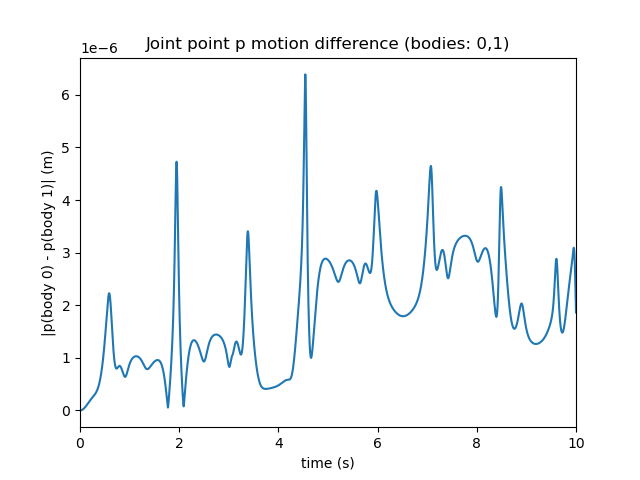 The following two figures illustrate the time history of the distance between the coincident points of the ball joint between the two bars, during the 10 second long simulation. 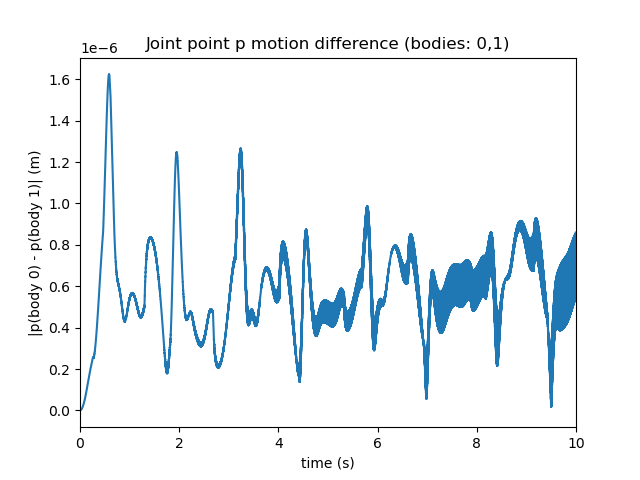 The amount of joint leeway is controlled by the time step and it remains bounded during the simulation (it is O(1E-6) in this case). Ball joint only variant of the example. Ball joint and torsion spring variant. The final two figures illustrate the time histories of the torques of the torsional spring between the two articulated bodies. 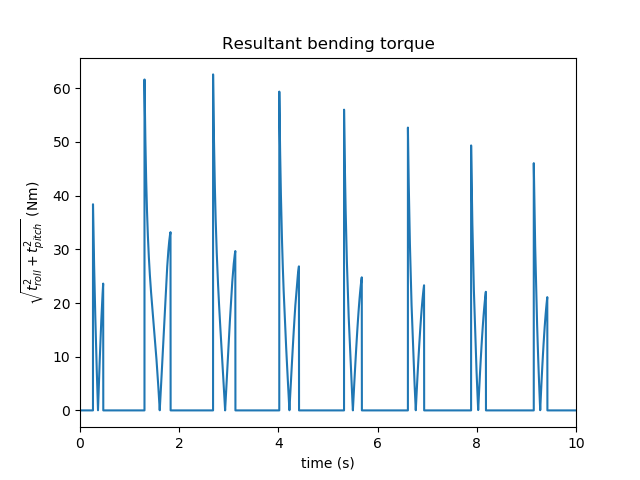 The first figure below depicts the norm of the torque in the roll-pitch plane, responsible for controlling flexing. There is a time-dependent pattern of a non-negligible torque magnitude. 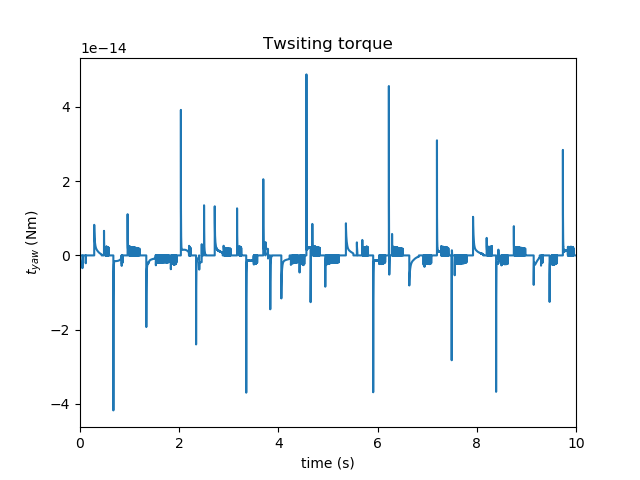 The second figure shows the yaw component of the torsion spring – and since twisting motion has not been initiated in this example, the torque remains near numerical zero.